Deh-Noizer grew up with a natural attitude to music. 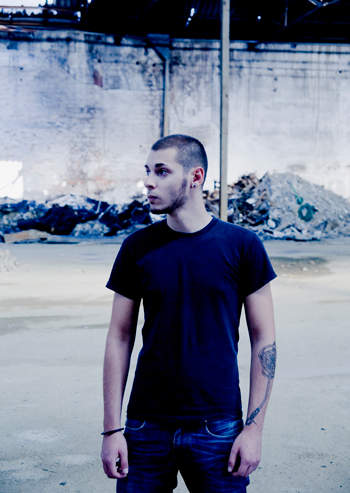 Born in the 1987, he discovered techno world when he was only 14. During these 10 years he developed a great experience as Dj/Producer and in 2010 released his first EP on Naked Lunch records, A.paul label. After him first work as producer he began climb all over charts and big names tracklist , gaining the support of many great artists and labels. He had the pleasure to release on The Advent label “Kombination Research” , Impact Mechanics, Brood Audio, Torsten Kanzler Rec, Ketra and actually on his new label, created and runned with his friend Electrorites, called “The Nightmare Factory”. Remixed by names like : Space Djz, Glenn Willson, Ryuji Takeuchi, he has many projects for the future who will see him starring of the best Techno scene of the moment.